You play as Ito, a detective teetering on the brink of madness. She peels back the dark layers of Tokyo to understand her partner Kazuki Tanaka’s disappearance, and his subsequent murder at the hands of a girl believed to be dead. As you sidescroll through the different wards of Tokyo, you explore select establishments and interact with a wide range of characters. Backed by beautifully illustrated environments and an eclectic soundtrack, Tokyo Dark gives the impression of having been carefully crafted. It’s obvious the creators were thoughtful in how they integrated different elements of the game because the sound effects, music and design all contribute to a striking ambiance. Each environment has its own distinct feel, but the game remains consistent with an ethereal art style. The monochrome, noir-kissed streets of Shinjuku are interrupted by neon signs in a way that reminds me of Sin City. On the other hand, Kamakura is all pastels and cherry blossoms. On the other-other hand, Akihabara is electric, a mecca of geek culture studded with maid cafes. 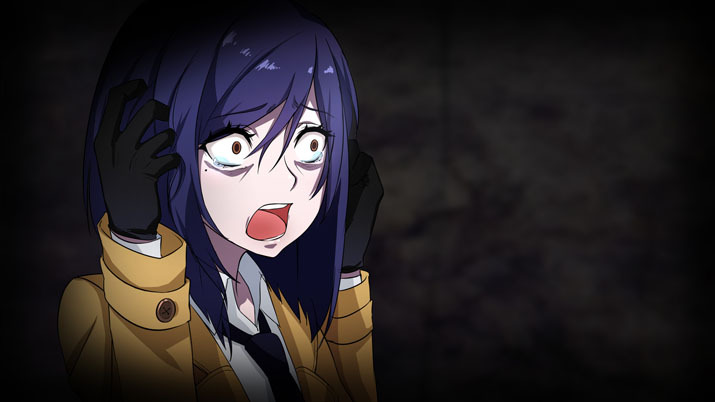 Not only is the art of Tokyo Dark lovely to the eyes, but it also underscores the tone of the story. Beautiful. Grim. Haunting. Expect an engaging urban horror story and you won’t be disappointed. It’s well-written, packing a lot of dialogue into six or so hours of gameplay. At its best moments, profound character interactions draw players into the grim and gorgeous world. Characters are diverse enough to be distinguishable, although secondary characters often fall into clichés. For instance, the millennial who says ‘like’ after every five words, or the over-the-top-cuteness of the café maids. Fortunately, this has the effect of being humorous, which added another dimension to the game. The story is mostly propelled forward through dialogue and choices, but the occasional puzzle is presented. These are easy, secondary to the narrative. All said, the game is the virtual equivalent of a page-turner. Both the story and the game mechanics repeatedly raise the question of destiny versus free will. Ito is susceptible to the “Dark” — a somewhat vague entity residing in Tokyo’s underbelly and perpetuating evil. It takes possession of her and forces her commit a terrible crime, and you, the player, are unable to stop her from committing it. Yet, the game delivers nearly a dozen different endings, meaning free will must be part of the story as well. However, there are a considerable number of restrictions. The game autosaves after each decision, making it impossible to go back or change your mind. This works in the game’s favor, as you’re drawn further in by the gravity of your own choices. As in life, once you’ve made a choice then you’re stuck with the consequences — foreseeable or not. It’s part of what makes the game compelling enough to finish. You want to see how badly you’ve screwed yourself over. A few of the crucial in-game decisions are timed. I’m the kind of person who can’t decide between traditional and crisscut, so when it comes to more important decisions, like whether or not to shoot someone in the face, I stall hard. I click a second or ten too late. Whoops. On the bright side, there is an achievement for being “Indecisive” (but mom tells me it’s just a nuisance). Another restriction is the player mobility, as there’s no room for detours or distractions. Areas of the map are only available when they hold the next step in your quest. It’s streamlined that way, and I occasionally wished there was more room for exploration of Tokyo Dark’s intriguing universe. But while the limited mobility might feel like handholding to some, I think it serves the overarching, thematic fear that we’re not in control. Or at least not as much as we’d like to believe. 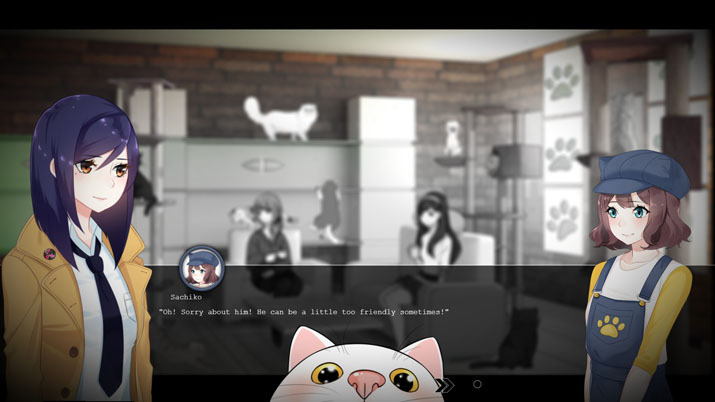 The game is peppered with meta moments and flickers of humor (mostly relating to cats) but the tug-of-war between Fate and Free Will is ever-present in the game, both through the narrative and the game’s own structure. For the most part, the Tokyo Dark’s ending depends on your decisions, but the decisions available to you are allegedly influenced by the SPIN system; a stat screen displaying sliders for sanity, professionalism, investigation and neuroticism. In theory, it sounds intriguing. In execution, it could be. In fact, it’s not. It’s the one place the game falls flat. As it’s explained in the game, SPIN depends on how you interact with the world, and in turn can affect how the story unfolds. When you see inexplicable, supernatural phenomena, you lose sanity. Sanity can be restored by talking to your cat, ironically. Sanity can also be restored by taking a pill, but then your investigative skills take a hit because the medication impairs your focus. As it happens… the SPIN system doesn’t happen. At least, not consistently. The system seems to be inconsequential, if not downright random. It makes sense that I would lose professionalism for shooting a lock. The fact that continuously clicking on a character increases your neuroticism is funny. But, why would running a silly errand for a cat cafe increase your professionalism? Why don’t other errands do the same? Why do a considerable number of decisions not affect SPIN at all? For that reason, the SPIN system felt out of place. 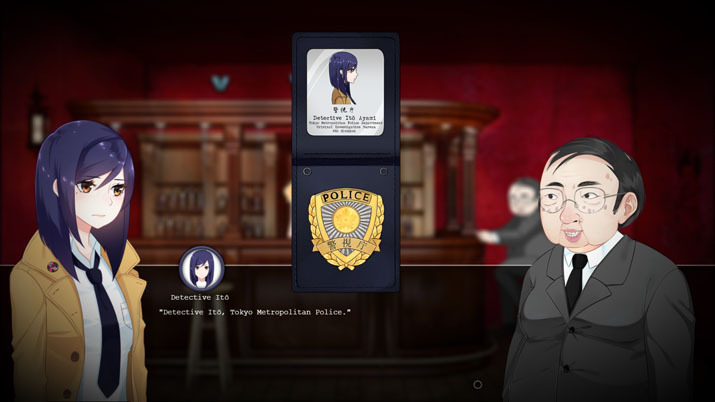 Dreamy yet disturbing, Cherrymochi’s Tokyo Dark keeps its crosshair leveled at a sweet spot between Japanese visual novel and point-and-click adventure. Featuring supernatural cults, dark family secrets, kawaii cat maids that wax existential and a protagonist who speaks primarily in ellipses, the game nails narrative but misses the mark on a pointless stat system. This one’s for the otakus — or anyone who’s partial to visual novels. Or those who really, really like cats. Although, I’m a member of none of those clubs, yet I enjoyed the game. The design and the punchy dialogue gives the story legs, keeping you curious enough to see it through to at least one of its endings.